Members of the Department of Neuroscience faculty teach courses in the core curriculums of several academic departments including Biochemistry, Ecology & Evolutionary Biology, Entomology, Molecular & Cellular Biology, and Physiology, and under the auspices of the University's Honors Program. 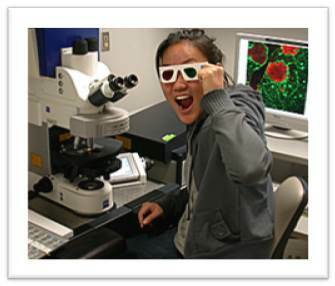 Neuroscience faculty also serve as mentors for the Undergraduate Biology Research Program. Neuroscience faculty welcome undergraduate students into their laboratories each academic year for practical training and mentoring. Students learn by doing: they are taught to design and conduct experiments, they analyze data, they are encouraged to participate in laboratory meetings and laboratory social functions and to attend departmental seminars. Neuroscience undergraduate students participate in scientific meetings and conferences on the University campus and occasionally at regional or national meetings. Students interested in pursuing laboratory research in Neuroscience should contact individual faculty in their areas of interest. Follow this link to more information on undergraduate research.